As we reach the end of the academic year, and I begin gearing up for the delightful chaos of the Edinburgh Fringe and my show, Is Your Online Reputation Hurting You?, I thought this would be a good time to look back on a busy recent few months of talks and projects (inspired partly by Lorna Campbell’s post along the same lines!). We began the year with funding from the Principal’s Teaching Award Scheme for a new project, led by Prof. Sian Bayne: “A Live Pulse”: Yik Yak for Teaching, Learning and Research at Edinburgh. Sian, Louise Connelly (PI for the original Digital Footprint research), and I have been working with the School of Informatics and a small team of fantastic undergraduate student research associates to look at Yik Yak and anonymity online. Yik Yak closed down this spring which has made this even more interesting as a cutting edge research project. You can find out more on the project blog – including my recent post on addressing ethics of research in anonymous social media spaces; student RA Lilinaz’s excellent post giving her take on the project; and Sian’s fantastic keynote from#CALRG2017, giving an overview of the challenges and emerging findings from this work. Expect more presentations and publications to follow over the coming months. Over the last year or so Louise Connelly and I have been busy developing a Digital Footprint MOOC building on our previous research, training and best practice work and share this with the world. We designed a three week MOOC (Massive Open Online Course) that runs on a rolling basis on Coursera – a new session kicks off every month. The course launched this April and we were delighted to see it get some fantastic participant feedback and some fantastic press coverage (including a really positive experience of being interviewed by The Sun). The MOOC has been going well and building interest in the consultancy and training work around our Digital Footprint research. Last year I received ISG Innovation Fund support to pilot this service and the last few months have included great opportunities to share research-informed expertise and best practices through commissioned and invited presentations and sessions including those for Abertay University, University of Stirling/Peer Review Project Academic Publishing Routes to Success event, Edinburgh Napier University, Asthma UK’s Patient Involvement Fair, CILIPS Annual Conference, CIGS Web 2.0 & Metadata seminar, and ReCon 2017. You can find more details of all of these, and other presentations and workshops on the Presentations & Publications page. In June an unexpected short notice invitation came my way to do a mini version of my Digital Footprint Cabaret of Dangerous Ideas show as part of the Edinburgh International Film Festival. I’ve always attended EIFF films but also spent years reviewing films there so it was lovely to perform as part of the official programme, working with our brilliant CODI compare Susan Morrison and my fellow mini-CODI performer, mental health specialist Professor Steven Lawrie. We had a really engaged audience with loads of questions – an excellent way to try out ideas ahead of this August’s show. Also in June, Louise and I were absolutely delighted to find out that our article (in Vol. 11, No. 1, October 2015) for ALISS Quarterly, the journal of the Association of Librarians and Information Professionals in the Social Sciences, had been awarded Best Article of the Year. Huge thanks to the lovely folks at ALISS – this was lovely recognition for our article, which can read in full in the ALISS Quarterly archive. In July I attended the European Conference on Social Media (#ecsm17) in Vilnius, Lithuania. In addition to co-chairing the Education Mini Track with the lovely Stephania Manca (Italian National Research Council), I was also there to present Louise and my Digital Footprint paper, “Exploring Risk, Privacy and the Impact of Social Media Usage with Undergraduates“, and to present a case study of the EDINA Digital Footprint consultancy and training service for the Social Media in Practice Excellence Awards 2017. I am delighted to say that our service was awarded 2nd place in those awards! My Social Media in Practice Excellence Award 2017 2nd place certificate (still awaiting a frame). You can read more about the awards – and my fab fellow finalists Adam and Lisa – in this EDINA news piece. On my way back from Lithuania I had another exciting stop to make at the Palace of Westminster. The lovely folk at the Parliamentary Digital Service invited me to give a talk, “If I Googled you, what would I find? Managing your digital footprint” for their Cyber Security Week which is open to members, peers, and parliamentary staff. I’ll have a longer post on that presentation coming very soon here. For now I’d like to thank Salim and the PDS team for the invitation and an excellent experience. The digital flyer for my CODI 2017 show (click to view a larger version) – huge thanks to the CODI interns for creating this. The final big Digital Footprint project of the year is my forthcoming Edinburgh Fringe show, Is Your Online Reputation Hurting You? (book tickets here!). This year the Cabaret of Dangerous Ideas has a new venue – the New Town Theatre – and two strands of events: afternoon shows; and “Cabaret of Dangerous Ideas by Candlelight”. It’s a fantastic programme across the Fringe and I’m delighted to be part of the latter strand with a thrilling but challengingly competitive Friday night slot during peak fringe! However, that evening slot also means we can address some edgier questions so I will be talking about how an online reputation can contribute to fun, scary, weird, interesting experiences, risks, and opportunities – and what you can do about it. Help spread the word about my CODI show by tweeting with #codi17 or sharing the associated Facebook event. To promote the show I will be doing a live Q&A on YouTube on Saturday 5th August 2017, 10am. Please do add your questions via Twitter (#codi17digifoot) or via this anonymous survey and/or tune in on Saturday (the video below will be available on the day and after the event). So, that’s been the Digital Footprint work this spring/summer… What else is there to share? The Reference Rot in Theses: a HiberActive Pilot project has been looking at how to develop the fantastic prior work undertaken during the Andrew W. Mellon-funded Hiberlink project (a collaboration between EDINA, Los Alamos National Laboratory, and the University of Edinburgh School of Informatics), which investigated “reference rot” (where URLs cease to work) and “content drift” (where URLs work but the content changes over time) in scientific scholarly publishing. For our follow up work the focus has shifted to web citations – websites, reports, etc. – something which has become a far more visible challenge for many web users since January. I’ve been managing this project, working with developer, design and user experience colleagues to develop a practical solution around the needs of PhD students, shaped by advice from Library and University Collections colleagues. If you are familiar with the Memento standard, and/or follow Herbert von de Sompel and Martin Klein’s work you’ll be well aware of how widespread the challenge of web citations changing over time can be, and the seriousness of the implications. The Internet Archive might be preserving all the (non-R-rated) gifs from Geocities but without preserving government reports, ephemeral content, social media etc. we would be missing a great deal of the cultural record and, in terms of where our project comes in, crucial resources and artefacts in many modern scholarly works. If you are new the issue of web archiving I would recommend a browse of my notes from the IIPC Web Archiving Week 2017 and papers from the co-located RESAW 2017 conference. A huge part of the HiberActive project has been working with five postgraduate student interns to undertake interviews and usability work with PhD students across the University. My personal and huge thanks to Clarissa, Juliet, Irene, Luke and Shiva! A preview of the HiberActive gif featuring Library Cat. You can see the results of this work at our demo site, http://hiberactive.edina.ac.uk/, and we would love your feedback on what we’ve done. You’ll find an introductory page on the project as well as three tools for archiving websites and obtaining the appropriate information to cite – hence adopting the name one our interviewees suggested, Site2Cite. We are particularly excited to have a tool which enables you to upload a Word or PDF document, have all URLs detected, and which then returns a list of URLs and the archived citable versions (as a csv file). Now that the project is complete, we are looking at what the next steps may be so if you’d find these tools useful for your own publications or teaching materials, we’d love to hear from you. I’ll also be presenting this work at Repository Fringe 2017 later this week so, if you are there, I’ll see you in the 10×10 session on Thursday! James Reid and I have also been experimenting with Tango-capable phone handsets in the (admittedly daftly named) Strictly Come Tango project. Tango creates impressive 3D scans of rooms and objects and we have been keen to find out what one might do with that data, how it could be used in buildings and georeferenced spaces. This was a small exploratory project but you can see a wee video on what we’ve been up to here. In addition to these projects I’ve also been busy with continuing involvement in the Edinburgh Cityscope project, which I sit on the steering group for. Cityscope provided one of our busiest events for this spring’s excellent Data Fest – read more about EDINA’s participation in this new exciting event around big data, data analytics and data driven innovation, here. I have also been working on two rather awesome Edinburgh-centric projects. Curious Edinburgh officially launched for Android, and released an updated iOS app, for this year’s Edinburgh International Science Festival in April. The app includes History of Science; Medicine; Geosciences; Physics; and a brand new Biotechnology tours that led you explore Edinburgh’s fantastic scientific legacy. The current PTAS-funded project is led by Dr Niki Vermeulen (Science, Technology & Innovation Studies), with tours written by Dr Bill Jenkins, and will see the app used in teaching around 600 undergraduate students this autumn. If you are curious about the app (pun entirely intended! ), visiting Edinburgh – or just want to take a long distance virtual tour – do download the app, rate and review it, and let us know what you think! A preview of the new Curious Edinburgh History of Biotechnology and Genetics Tour. The other Edinburgh project which has been progressing at a pace this year is LitLong: Word on the Street, an AHRC-funded project which builds on the prior LitLong project to develop new ways to engage with Edinburgh’s rich literary heritage. Edinburgh was the first city in the world to be awarded UNESCO City of Literature status (in 2008) and there are huge resources to draw upon. Prof. James Loxley (English Literature) is leading this project, which will be showcased in some fun and interesting ways at the Edinburgh International Book Festival this August. Keep an eye on litlong.org for updates or follow @litlong. And finally… Regular readers here will be aware that I’m Convener for eLearning@ed (though my term is up and I’ll be passing the role onto a successor later this year – nominations welcomed! ), a community of learning technologists and academic and support staff working with technologies in teaching and learning contexts. We held our big annual conference, eLearning@ed 2017: Playful Learning this June and I was invited to write about it on the ALTC Blog. You can explore a preview and click through to my full article below. In terms of the months ahead there are some exciting things brewing… But I’d also love to hear any ideas you may have for possible collaborations as my EDINA colleagues and I are always interested to work on new projects, develop joint proposals, and work in new innovative areas. Do get in touch! And in the meantime, remember to book those tickets for my CODI 2017 show if you can make it along on 11th August! Thought I would share this very lovely update from my Digital Footprints colleagues about #jisc50social – click through to “Nicola blogs…” at the end of the post to read my original post on my work blog. 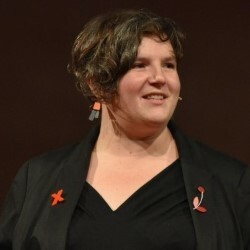 Nicola Osborne (EDINA), lead collaborator on the Digital Footprint campaign (2014-2015), member of the research team and actively supporting students, researchers and staff at the University of Edinburgh, has just been listed in the Jisc 50 most influential HE professionals using social media. Congratulations Nicola! It’s fantastic to have your expertise and involvement with the Digital Footprint service and research. What is it like to write an Edinburgh Fringe show for #codi15? This post was first published on my work blog here. What is it like to write a show for the Cabaret of Dangerous Ideas (#codi15)? Well, as I make the final preparations for my own show, Back to the Statistical Future (26th August, Stand in the Square, 3pm, just £8 per ticket! ), I thought I would share some reflections on the process of developing a show for the Edinburgh Fringe that is based on academic and research areas, but is accessible to a wider audience. And also on the nerve-jangling experience that is selling real tickets to real punters – and using social and other media to help with that! So, firstly a wee bit of background. The whole idea of the Cabaret of Dangerous Ideas is to actually have a “dangerous idea” – something challenging or provocative. Last year we – myself and my lovely co-host and Statistical Accounts of Scotland editorial board corresponding member Helen Aiton – focused a lot on the forgotten members of society, and the ways in which the Statistical Accounts capture and share their lives. This year we wanted to do something a wee bit different, but we also wanted to be able to build on the best bits of the 2014 show, things like the background to the accounts including, as Susan calls it “the world longest letter” – our enormous physical list of all the questions that had generated the Accounts in the first place (indeed we discovered 6 additional questions last year when researching the show!). “The World’s Longest Letter” being shown off at CODI 2014 (image copyright Edinburgh Beltane Network). So there we were, in autumn 2014, trying to think about what might make for a good show… because planning for a Fringe show really has to start about a year ahead to make the various deadlines. At this point we knew the Scottish Referendum result but we also knew that there would be a general election before the Fringe and that the Fringe programme deadline would pass before we knew the impact of that. Now, why would that matter for a show about 18th or 19th Century Scotland? Well, for our ideas to be dangerous and engaging they also needed to be timely and that meant making some sort of connection to the current context. One of the brilliant things about CODI is that the production team have set a lot of early deadlines to make sure those terrifying Fringe form deadlines start to look easily achievable! This year pitches for show were due in person by the end of November or by video in early December. That means you need to know roughly what you want to talk about and roughly how you plan to do that 9 to 10 months ahead of your show. It means much of the hard work is done long before you officially start writing. So, in November Helen and I started thinking about ideas and decided to take a wee risk. We decided that such was the focus on austerity and cuts that, no matter what the election outcome, there would be a great social policy angle tying the historical picture in the Accounts to modern day Scotland. Thankfully all of the buzz around the upcoming anniversary of Back to the Future inspired us. The film had been interesting partly because 50s fashions and mid-80s tailoring actually has a lot in common, which meant that whilst social attitudes and pop music provided fun contrasts, a lot of what makes that film great is the familiar being re-experienced in an unfamiliar context. With what we had found in the Second Statistical Accounts on part time librarians, pressures to pay to school your children, gentrification, increasing scrutiny of those receiving poor relief and the help of the parish, we knew we had some parallels and a perfect simple title: Back to the Statistical Future! The next stage was to get all of our expression of interest paperwork together for the CODI producers and, once our show was selected/accepted (yay!) we needed to ensure we had all our details for the Fringe programme. Because the Fringe deadlines are very early – the final deadline for totally finalized copy, images, URLs etc. for the programme and website hits as early in January – we also had to make sure we had everything finalized. That included the modest funding to cover registering our show in the guide, in key programmes, on posters in St Andrews Square, etc. The CODI producers, being fabulous, bundle this all together into a very affordable fee that doesn’t even pretend to cover all their serious hard work supporting the shows and working to get potential audiences, as well as University press offices and local and national press aware of the strand. So, we had a show title and basic idea… And an official listing imminently going live… What next? Never mind writing the show itself, the next priority is actually writing the stuff to promote the show: news items for websites, tweets, blog posts, emailing contacts or nudging the press. Because if there is an audience all booked in, we not only need to have the show written but there’s a good chance it will go well. If there is no audience the best written show in the world won’t be nearly as fun. Tickets for CODI have been priced this year at £8. That is a marker of the confidence the CODI producers have in us lot – the writers and performers – but it is also something of a challenge. If I can go see Bridget Christie for only a few more pounds, or something at the book festival for a similar price, my expectations as an audience member are set high. But I’m also really invested in what I’m about to see or be part of. Psychologically paying for stuff makes us value it more than free stuff. There is a whole free fringe, and there are also quite a lot of free events led by academics and researchers, which are frequently excellent. Motivation to do a good job: a yurt full of expectant CODI attendees watching our show last year (image copyright Edinburgh Beltane Network). There are other reasons to charge £8. Our venue this year and last has been a yurt in St Andrews Square, part of the Stand in the Square, one of the offshoot venues from legendary comedy club The Stand. So there are promotion costs, the venue costs (hire of space, yurt, power etc), and the costs of having an (excellent) technician keeping our mics and music working as expected – and those apply to every show no matter how famous you are. So, as I post this it is mid August and our show, taking place on 26th is coming together but isn’t finished yet. Back in November, when we were preparing our pitch Helen and I both scoured the Statistical Accounts for what we call our “snippits” file – highlights, quotes, interesting leads, stories and statistics that we think might make a show. Once we had that clearer idea of what to focus on we started looking for more, digging deeper into some of our key topics: libraries; schools; literacy; public housing; disability and poor relief. There were also Boot Camps to help us along – CODI gatherings in which all participants are encouraged to come along and share advice and in-progress show ideas. Some of these are in the Stand, which comes with the bonus of letting you tread the hallowed 4 feet of plywood that is their tiny stage. And for the last of these, in June, we were expected to give our 3 minute presentation outlining not just the topic, but also the structure of our show. Which means you have to have one. And even if that structure is only finalized late the night before the bootcamp, it’s still awfully useful to have. Because with that title, description, structure and a slowly booking audience all in place you have at least a full skeleton of your show, and plenty of time to flesh it out properly. With CODI now in it’s third year there are some golden rules about what makes a CODI show too. It isn’t a presentation; it’s about interacting with the audience and engaging them. It isn’t about being the cleverest person in the room but it is about sharing and enlightening the audience with what you know. You need to be prepared but you can also count on Susan, now the compere for all CODI shows, to manage anything really challenging for you. As a bonus she’ll also dress as a minion, or a penguin, or a hurricane, or, for our show, impersonate a judgmental 19th century Minister of the Church of Scotland. And then, on 26th August, we will go into a wonderful and hopefully full yurt, and anything could happen… we may forget half of the content, we probably will be taken in whole new directions by the audience, why not join us and find out? Pixar’s latest film has a simple concept: it claims to take us inside the head of an 11 year old girl called Riley. There is a little more to it than that – this 11 year old girl is having a stressful year moving house for her father’s work. I think it is uncontroversial to say that Pixar has pretty solid form: even their least successful films are pretty darned good and that’s not too surprising given their animators’ undoubted skills and attention to detail. As is now expected of an animated film Inside Out also benefits from a well chosen cast – most prominently Amy Poehler (as Joy) and Mindy Kaling (Disgust), and a thoughtful and emotive score (too emotive for my taste but well crafted by Michael Giacchino). But, despite many lovely parts, for me Inside Out just didn’t quite work. The film isn’t without ambition, dealing with interesting ideas about what makes a person’s personality, emotions, core. In order to understand this one person we follow Riley’s inner emotional team – composed of Joy, Sadness, Disgust, Fear and Anger – as they sail her through a tough preteen time whilst her parents move home from Minnesota to San Francisco. There really is much to love here, from consistently funny jokes and background details, to the quite avant garde visual highlight of a journey through Abstract Thinking. It is kooky, silly, and yet the concept also raises so many questions. I agree entirely with Pop Culture Happy Hour’s comments that it seems bizarre that when we see into other characters’ heads – particularly adult characters – there are no other personality/emotional states present. Notably absent is lust (or something in that broad direction), which may be just about excusable in the 11 year old Riley but peculiar in her adult parents minds. And there are strange gender clichés too: Riley’s father is operated by male emotions led – and entirely embodied – by Anger, whilst her mother is operated by Female emotions led by Joy and Sadness. Riley’s own emotions are a mix of genders, which seems positive, and her interests helpfully are not cliched – ice hockey features but so does an imaginary boyfriend – but in naming, emotions, and interest there is almost a sense of Riley as pre-gender and pre-sexuality rather than genuinely diverse or more meaningfully defying convention. Of course defying convention requires slightly more variety than most Pixar films are comfortable with: I may love Toy Story as a fun cute movie but I am growing tired at seeing the same narrative of lost innocence play out in (almost) all of their movies. For some of us childhood isn’t the best time of our lives, some of us adults actually really like being adults and have only minimal nostalgia for childhood. Although I have long suspected that Pixar makes films not for kids, or for child-free adults, but for the parents who wish their little monsters (inc) would stay tiny for ever. I understand the motivation for universal themes in films that take years to make, but I do wish they’d take an edgier, more realistic stance on what it means to be a kid. But then that cheesy earnestness also has it’s charms. Inside out includes a wealth of jokes that gently mock West Coast hipsterism, such as Riley’s family responding to discovering that a pizza place named “Yeast of Eden” serves only broccoli pizza, to their shared disgust (a plausible moment of goofiness in a city that began the “Toast Craze” with Trouble, a restaurant that serves only toast, coffee, grapefruit juice and coconut water). The fact that Riley yearns for Minnesota whist in San Francisco – rather than the other way around – marks a genuine point of difference from most teen relocation movies that speaks to what kids might actually want, rather than what stage school kids want. It rings true, even if the picture of Minnesota life is a little too ridiculously cosy and retro to bear up to too much scrutiny. Other aspects are less convincing: Riley’s father is supposed to be setting up a start up – or at least developing his start up – and is stressed with investor meetings despite a notable absence of working at home, or his working until 11pm. If you have friends in similar roles – or listen to Start Up – you may recognise this as, at best, an unusually functional work-life balance. The entirely family also seem to have moved into the kind of run down townhouse that you wouldn’t actually get for under a few million in downtown San Francisco anymore – a small niggle but it matters. And despite the current property prices in the Bay Area by far the most terrifying moment in the movie for most viewers who’ve ever spent time in San Francisco is likely to be the thought of an 11 year old walking to school, and worse still walking to the bus station, alone… Now we are meant to fear for Riley’s safety at the crucial run away moment but perhaps not to that extent. It’s not that that artistic license isn’t acceptable, but in such an already silly high concept movie, details really do make a big difference. So an ambitious and beautifully animated film, and an interesting idea, but for me – and I’ll be honest I know I was a troublesome and precocious 11 year old so what do I know – it didn’t ring anywhere near true enough to suspend my disbelief. There were emotional moments, genuinely good jokes and some big ideas but by focusing on the rather simplistic emotions the team behind Inside Out have forgotten to make their human leads engaging or intelligent enough to really reflect the complexities of real emotions and personalities. And, as an aside to Pixar, it would be nice to see not only more female characters with complexity in your films, but also a darker and much stronger script occasionally. Inside Out could have been brilliant given a much darker, more honest, critically engaged and more mature script – because there is a lot more going on in most 11 year old brains than Inside Out begins to get near. Animation does not mean that all audiences are or should be children (or have children), to assume that is the only audience is to give up on pushing boundaries. At the same time, if you are representing and reflecting kids lives or experiences where are you non white protagonists? Your single parent families and children with experience of divorce, bereavement or the care system? Your working class (in the UK sense) parents, struggling to survive, rather than stressing about what must (in the case of Inside Out) be multi million dollar enterprises or choices between affluent homes and choices. There are so many interesting stories to tell, why only focus on the nostalgic lament of childhood? My childhood had moments that were wonderful but was not the happiest time of my life – my thirties have that honour thus far but I have high expectations for the future too – so why assume that all children should fail to grow old or fail to develop in order to be happy? There are plenty of playful, intelligent, critical, and very happy adults out in the world, and many introspective, bullied, unhappy kids out there too. Don’t assume all in your audience share all of your desires to return to a more innocent time. Innocence is often seriously overrated. So, that mini rant aside, would I see Inside Out again or recommend it to others? Yes, absolutely. It’s well crafted, sweet, but it is much less substantial and interesting than it should be. The Incredibles, oddly, feels much more grounded in reality compared to this ode to the delights of the Mid-West. Wall-E is more gut wrenching in it’s targeted exploration of dark themes. This is the Numbskulls mixed with Herman’s Head in a very light Judy Bloom (pre-Forever) honey coating. If you long for your childhood days, you’ll love it. If you were a tough little pre-teen I suspect you’ll be more than a little frustrated. Viewed as part of EIFF 2015.